JULY 28: VIGIL DIVINE LITURGY (SN) – 5:00 PM; JULY 29: DIVINE LITURGY (SCM) – 10:00 AM. 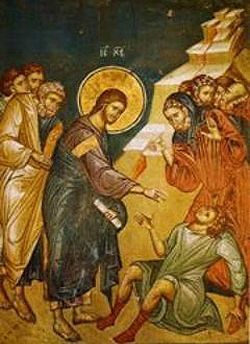 This Sunday’s Gospel reading is Matthew 17: 14-23 which tells us how Jesus Heals a Demon-Possessed Boy after His followers fail to do so. Why did Jesus’ closest followers not been able to heal the boy? Did they not have enough faith because Jesus wasn’t present or because they lost faith? 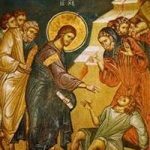 We note that Jesus is frustrated and heals the boy Himself. So what is the important lesson? We must honor Him through our faith and when we do, Jesus can do great things through us.